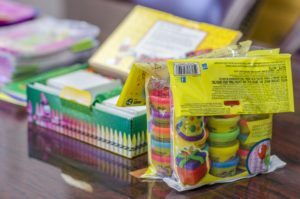 The other day, we were able to come together to make activity kits for kids that come into Massey Cancer Center’s waiting room. This is the second activity we have done with Massey Cancer Center. On a previous post, we blogged about how we created kits for the waiting room. If you missed out on the post check it out here: Balducci is Giving Back. 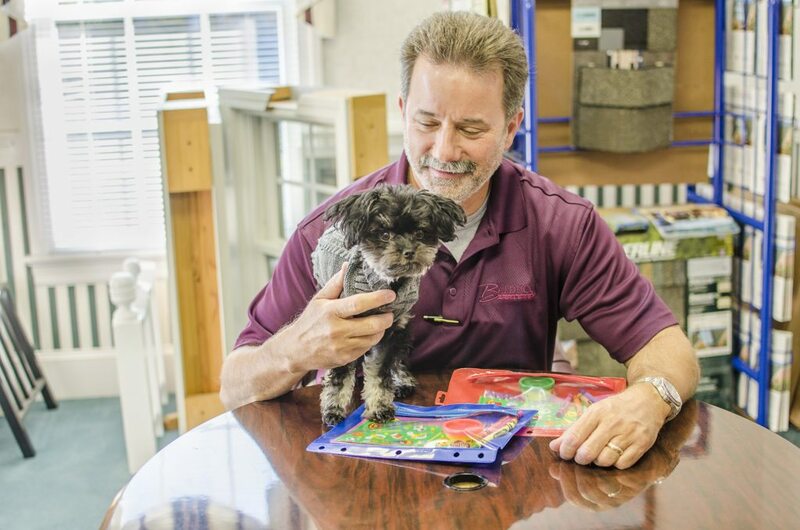 We put together waiting room kits that included items such as crossword puzzles and playing cards. While these bags are beneficial to many patients as Massey Cancer Center, they are geared towards adults. 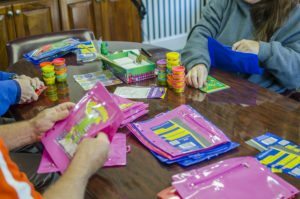 After we completed the waiting room kits, we contacted Massey to find out what items they are in need of the most, which happened to be items for children. The other day we were able to get together in the office and stuff kids activity bags for Massey Cancer Center. A good number of patients at Massey Cancer Center bring their children with them to their treatment due to a lack of childcare options. This is hard on a lot of kids, especially younger ones, who may have to spend hours in the clinic since Massey Cancer Center’s clinic is primarily catered to adults. We hope that these bags help to take some of the stress off of the patient receiving treatment and have one less thing to worry about. Our office puppy, Zoey, even made an appearance and helped us out with making the kits. We love coming together and giving back to the community. We would love to hear any suggestions of other organizations that we can get involved in! Email us at mmorris@balducciinc.com with any ideas.